BRASILIA, Mar 23 2018 (IPS) - Young people around the globe with good ideas on how to deal with water and climate challenges now have a platform to show their projects to the world and attract funding and other contributions to realise their dreams. The Youth for Water and Climate (#YWC) digital platform was formally launched during the 8th World Water Forum, held Mar. 18-23 in Brasilia with the participation of a dozen country leaders. The aim is to connect creative young people keen on helping to solve major environmental problems, in their communities or in wider areas, with potential funders and technical allies. The idea is to promote “love at first sight” between these young people and potential supporters, that is, to accelerate the pairing between the two parties, according to a game that illustrates the idea of digital marketing of projects, the promoters of the initiative explained. 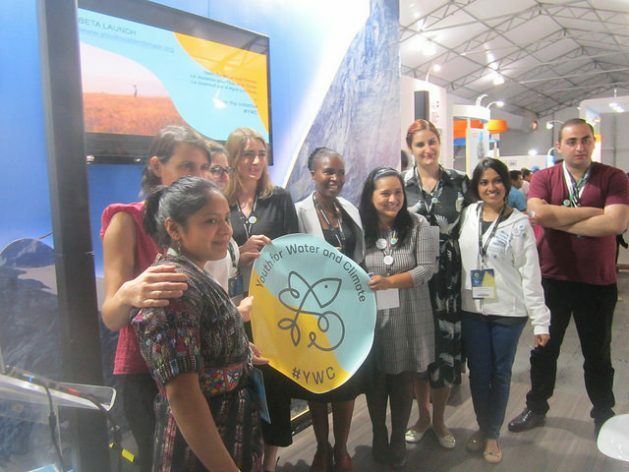 Marly Julajuj Coj, a 19-year-old indigenous woman from Guatemala, participated along with other young people from several continents in launching the platform, promoted by the Global Water Partnership (GWP) and other partners of the initiative, on Thursday Mar. 22 at Switzerland’s country pavilion at the 8th World Water Forum. Representatives from donor agencies in Europe and Africa were also at the event, to explain the support they offer and what kind of projects they are interested in. For example, they give priority to ones that involve gender issues, said the representative of Switzerland’s development aid agency. 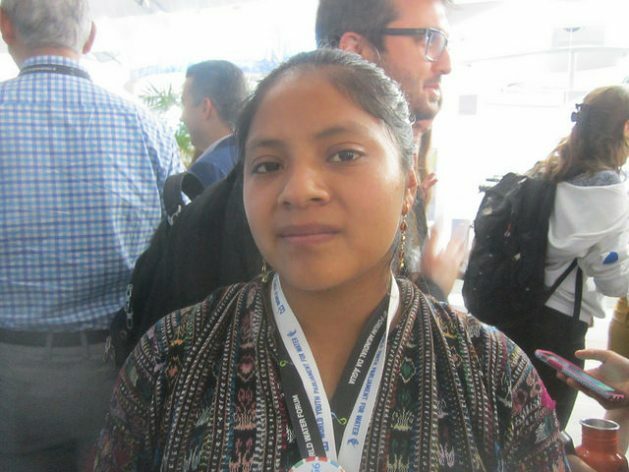 The young Guatemalan woman’s project seeks to build “rainwater harvesting systems, tanks made of recycled and new materials, to provide clean water for 20 families, those in greatest need in a community of 80 families,” she told IPS. “The local rivers are polluted, we have to find alternative sources of drinking water,” said the young high school graduate who learned English with a missionary from the U.S. This is her second trip outside of Guatemala; earlier she received training in public speaking in Belgium. “#YWC is a very useful tool, it helps to make my project known and to seek financing,” she said. The platform is supported by a consortium of nine organisations from various regions and is operated by a Secretariat comprising the GWP, the International Secretariat for Water and AgroParisTech. It is open to anyone who wants to submit a project or offer support. A committee evaluates the quality of the projects and gives a stamp of approval, after which they are published in order to attract funders and technical assistance. This process enables the young social entrepreneurs to improve their projects, share tools and meet requirements, while ensuring results for donors. On the platform people and organisations are free to choose their preferences and interests. 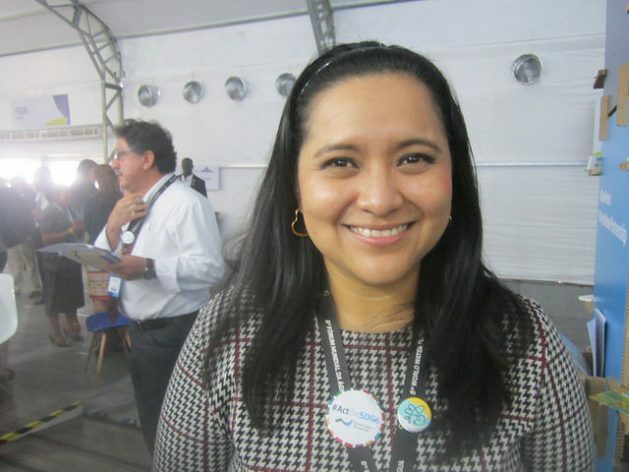 The advice, training and connection with supporters offered to young people is a fundamental part of #YWC, said Vilma Chanta from El Salvador, focal point in her country of GWP Central America, and a researcher in territorial development with El Salvador’s National Development Foundation. “Young people are an important part of change in the world, they are committed, that is why it is important to train youth leaders, to help them perhaps to formulate a theory of change that every project must have, that helps to identify where to focus their efforts,” Chanta told IPS. With regard to water problems in El Salvador, she mentioned the Lempa River, shared with Honduras and Guatemala, countries for which the river “is not as important as it is to us as a source of energy and water,” she said. A drought in 2017 left cities without water for three weeks, although the worst effects occurred in rural areas where “there is water but no access to it,” she said. “It is a limiting factor for women and girls who spend a large part of their days getting water for their households,” one of the vital gender issues in territorial development, said the young Salvadoran. On the other side of the world, the young economist Mukta Akter, executive secretary of GWP Bangladesh, also tries to promote rainwater harvesting and training for women, but with an emphasis on income generation and the creation of companies to achieve economic growth. “Water is a basic resource, indispensable for everything, even to obtain an income,” she told IPS. “In Bangladesh, water shortages prevent poor girls from going to school,” and guaranteeing access to water is essential to women’s education and financial future, she added. “#YWC connects very diverse people, and is an opportunity for exchanging ideas and sharing know-how, which is important in my country,” she said. Jelena Krstajic, president of the Youth Water Community, based in Slovenia and active in central and eastern Europe, sees #YWC primarily as a tool to seek financial support. It is important “because we are all volunteers,” she told IPS in reference to the professionals who participate in the organisation. A project in her community is the clean-up of the Ishmi river, in Albania, where there is an accumulation of plastic waste. Another project is to encourage the “voice of young people in the selection of policies” so that they can participate in decisions on social inclusion in Eastern Europe. Young people will be decisive in the face of water and climate challenges, “they have energy and are more sensitive to the issues” and will be able to do more if they are connected internationally, said Pierre-Marie Grondin, director of the Water Solidarity Programme, a network of French organisations that finance projects in the developing South, especially Africa. “#YWC is a good idea, it disseminates new ideas, promoting dialogue and coordination,” he told IPS, speaking as a donor. The digital platform and the decision to support young people’s capacity for innovation are the result of ties forged among several national and international organisations since the December 2015 climate summit in Paris. At the summit – the 21st Conference of the Parties to the United Nations Framework Convention on Climate Change (COP21), which gave rise to the Paris Agreement – the youth-led White Paper on Water and Climate, based on interviews in 20 countries from all continents, was presented. During the World Water Forum, there were several initiatives aimed at young activists in water issues. One was the Stockholm Junior Water Prize, sponsored by Sweden, which chose a Brazilian project to attend the Water Week in Stockholm, in August of this year. Meanwhile, participants in the Brazilian National Youth Parliament for Water presented their studies and projects at the Citizen Village, venue of the Alternative World Water Forum (FAMA), a parallel event. 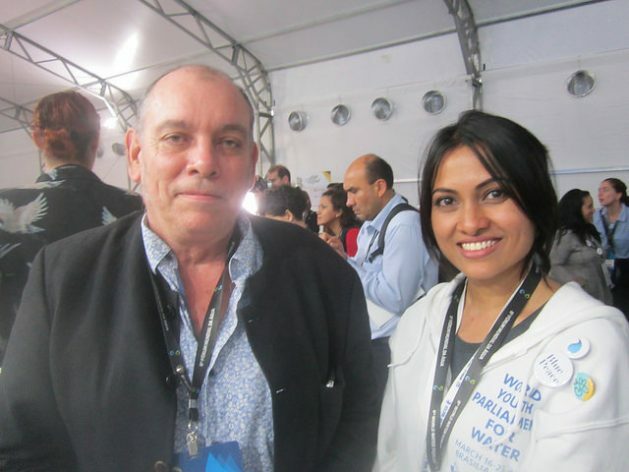 The World Water Forum, organised by the World Water Council and the Brazilian government, drew 10,500 delegates from 172 countries, according to the organisers. They took part in 300 thematic sessions, and an Expo that was visited, according to their estimates, by more than 85,000 people. FAMA focused on environmental education and attracted some 3,000 people from 34 countries, mostly students, plus tens of thousands of visitors who visited the fair.